We are currently applying for our 6th Green flag. For the last 2 years we have been learning about recycling and global citizenship. 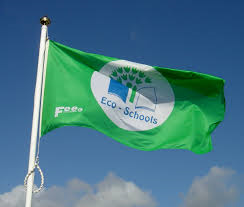 We already have green flags for recycling, energy, water, travel and biodiversity. The students of the school form the committee and come up with ideas for each theme. They have been doing excellent work to date.